I remember the first time I saw her. I was five years old and I was infatuated. She had a beautiful blue ball gown on and her hair was done in a perfect little blonde bun. I just could not leave Disney World without her. So what happened next you ask? Well, my father bought me my Cinderella Barbie doll and I took her home and we were best friends. You see, I was that little girl who spent every waking moment playing Barbies. Maybe it was the cool Barbie dream house or maybe I just wanted the little pink dresses all to myself. But I really loved my Cinderella Barbie doll. She didn’t look exactly like Barbie. Her eyes were a little bigger and face a little rounder. She just had that whole ‘Princess’ vibe. And let’s face it, at twenty-two I still want to be a princess. So I loved her the most and I played with her the most. And then her head fell off. Well, I think the point I want to make is that I hope my kids are as familiar with death as I was. When their pets die I will want them to hold a funeral. Heck, I’ll be the first to grab the shovel, a prayer book and gather everyone to pay their final respects. I don’t want them to be nervous or uncertain when someone passes away. I want them to understand that the traditions that our community have are meant to honor and respect the dead. My dad let me bury my Barbie. He didn’t laugh at me when I made her a casket. And let me tell you, laying Cinderella to rest when she passed away was exactly what I needed at the time. 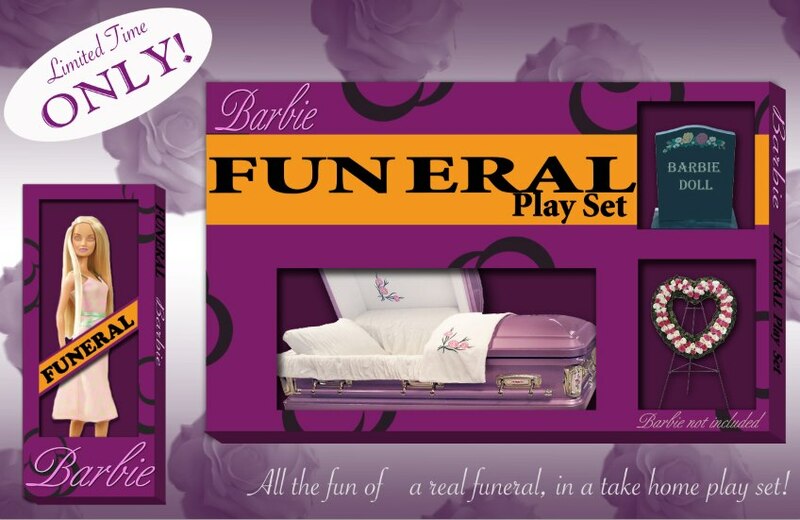 So if burying a Barbie doll will help my children deal with the idea of death, then by-golly I will bury all the Barbie dolls that they want. Andrea you were ALWAYS there for me! Through good times and bad, happy Barbies and dead Barbies!